Karen Meat is a Des Moines, IA-based rock band, formed in 2014 and comprised of Arin Eaton, Brad Turk, John Huffman, and Phil Young. Led by Eaton, a Nashville transplant who used to work for Music City’s Southern Girls Rock & Roll Camp, her blunt, conversational barstool drawl drawl suggests a landlocked American cousin to Courtney Barnett. 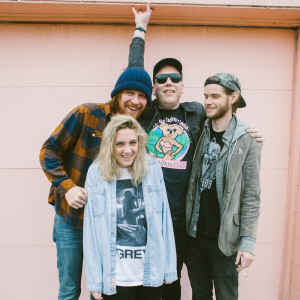 The band’s debut, 2015’s Karen Meat & the Computer emerged as Eaton went into local recording studio, Wabi Sound, to record a solo project with electronic instruments. Turk at the time lived above Wabi & added omnicord to Eaton’s songs. He then contributed to the writing & recorded his songs. 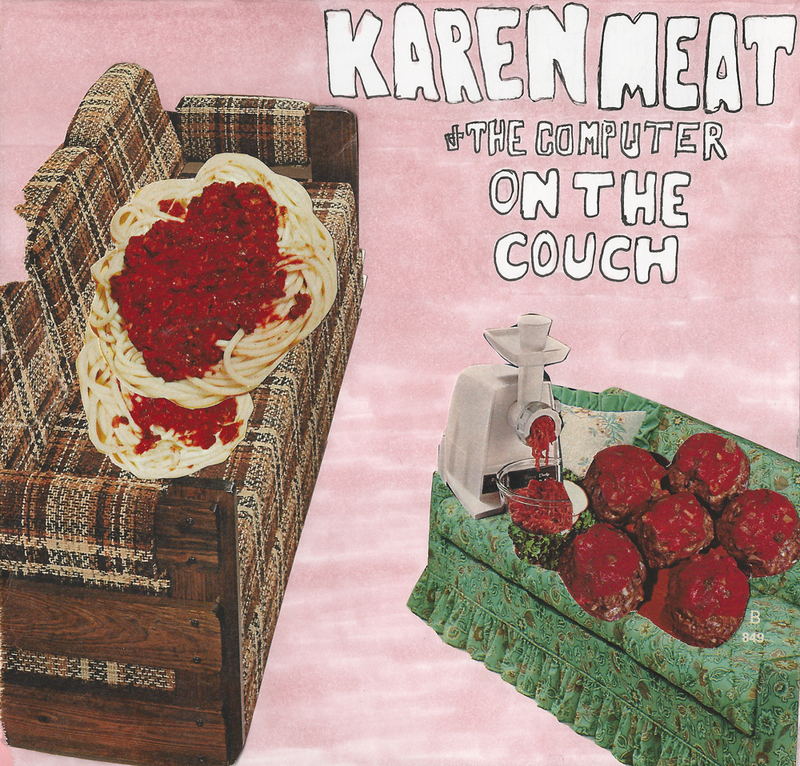 Karen Meat & the Computer was praised for its lo-fi sensibilities and tendency for each of its cheeky pop hooks to stick in your head like gum to the bottom of your shoe. 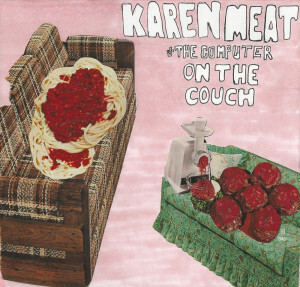 Among their wide-ranging influences, Karen Meat lists Santigold, ELO, Jonathan Richman, The Moldy Peaches, fusing pop punk, 90s slacker rock, and chart pop. Their new, four song On The Couch 7″, out June 3rd on Sump Pump Records, is a bite sized collection of unpretentious off-kilter jangles.